Every three years, the International Dietary Fiber Conference brings together the worlds of science, industry and regulation around a single objective: providing a wide forum for discussion to gain a comprehensive overview of the state of the art in the field of dietary fiber. For the third time, Mondelēz International sponsored the event, which took place in Paris, France from June 1 through 3, 2015. 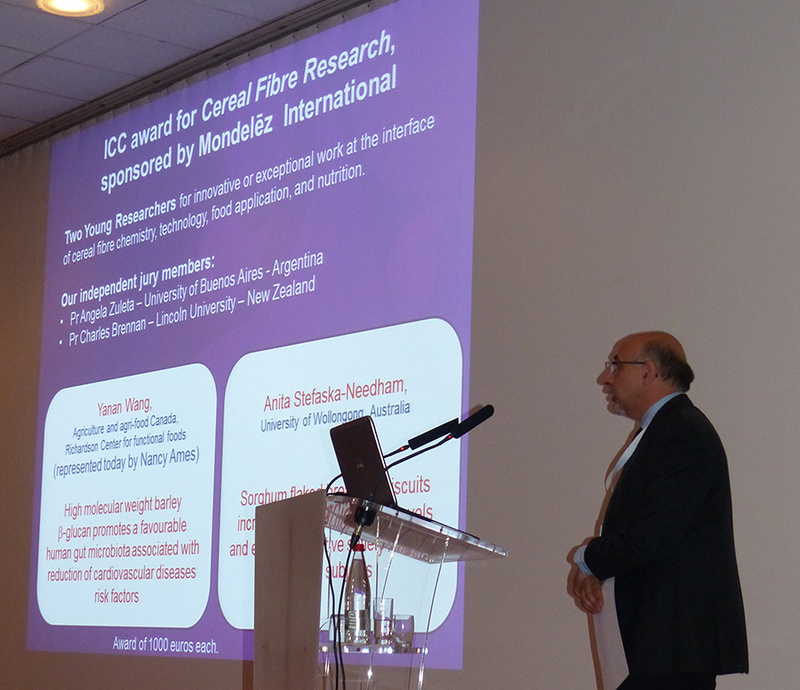 About 250 research academics, nutrition and technology experts, ingredient and equipment suppliers, and food industry representatives participated in this event. Mondelēz International Nutrition, Ingredient and Technology experts welcomed attendees on our stand. They gave them the opportunity to taste our high-fiber biscuits and crackers and find out about the nutrition science behind them. They were available to discuss the latest scientific insights on dietary fibers and answer questions about our scientific publications. Along with public health experts, academic nutrition researchers, food industry representatives, ingredient suppliers, Mondelēz International Nutrition Director Michel Infantes took part in a round table discussion on "Dietary fiber – state of the art and future perspectives – views from research, consumers, industry and government". The objectives were to share the key elements of the session to be retained and exchange points of view about fibers. 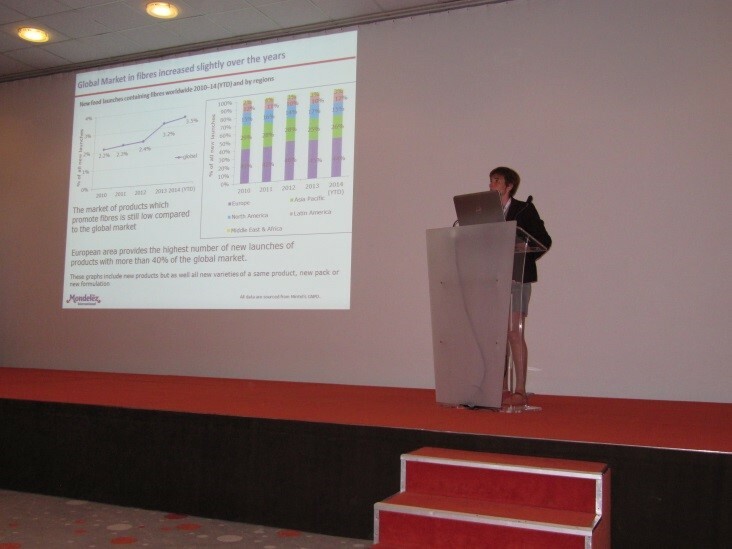 Mondelēz International Nutrition Research expert, Sophie Vinoy, gave a keynote speech on June 1 as part of the "Consumer and regulatory aspect" session on "High fiber food market, consumer interest and products". In particular she addressed the topic in a three-pronged approach, presenting the market of fibers and whole grain foods, consumer understanding and interest in these products as well as the challenges related to the manufacturing. - Meynier A, Champ M, Chauveau P, Barron C, Saulnier L, Vinoy S. 2015. Impact of wheat fractions differing by their dietary fiber content and incorporated in several cereal foods on their glycaemic and insulinaemic responses.View/download poster. - Stefoska-Needham A, Beck E, Johnson S, Tapsell L. Sorghum flaked breakfast biscuits increase postprandial GLP-1 levels and extend subjective satiety in healthy subjects.View/download poster. - Wang Y, Tun HM, Tosh SM, Jones PJH, Ames NP, Khafipour E. 2015. High molecular weight barley β-glucan promotes a favorable human gut microbiota associated with reduction of cardiovascular disease (CVD) risk factors.View/download poster.